No 1 Newton Park is a 2 bedroom semi-detached house which has been completely renovated to a high standard including new roof, kitchen, bathroom, conservatory, porch, windows and flooring through-out giving the feel of a new build. Early viewing is recommended. Newton Park is located in the southern end of the popular village of Innellan and has uninterrupted views to the sea that can be enjoyed from the lounge and the garden which has been landscaped with a patio area outside the lounge, chipped stones and a lawn divided by a pathway leading to the conservatory at the rear. A driveway could be created at the front of the property by removing part of the front wall. The property is on 2 levels with a bright spacious lounge with patio doors leading to the garden and a door leading off to the kitchen and conservatory. On the upper floor are 2 bedrooms, one to the front with great views and the other to the rear, both have built in wardrobes, and the family bathroom which consists of a toilet, wash-hand basin, bath with shower above and shower screen. The ground floor flows naturally from the large porch to the lounge and kitchen and conservatory to the rear all with quality wood laminate flooring through-out. Views of the sea can be had while relaxing in the porch or the lounge. The sellers have gone to great lengths to upgrade the property to a high standard which becomes apparent when entering the property and is finished in neutral shades through-out attractive to most buyers. The gardens have been designed with easy maintenance in mind, mostly laid to chipped stones with a lawn area to the side/rear of the garden. A new all-weather garden shed is to the rear of the garden and access can be gained to the conservatory from the garden. The sellers had plans to remove part of the front wall for vehicle access. This could be carried out with consent from the planning office. Innellan has a village Shop/Post Office, 2 Pub/Restaurants, Golf Course, Village Hall, Bowling and Tennis Clubs, Village Hall and Church. There is a primary school less than a mile from the property. 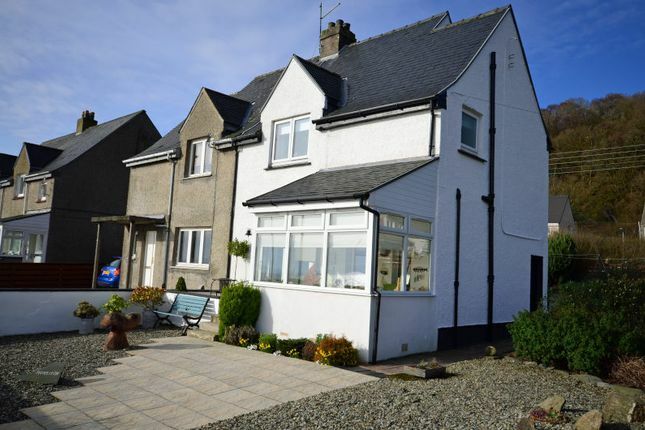 The property is approximately 6 miles from Dunoon where there are the amenities that you would expect from a small town, 2 Supermarkets, Doctors surgeries, Hospital and plenty of pubs and restaurants. Glasgow can be reached in approximately 1 hour via the ferry services from Dunoon or alternatively the road network via Loch Lomond. A regular bus service runs from Toward to Dunoon.